NOTE: The deadline for this CFP has been extended to 12 March! Call for Papers for a proposed session at the Modern Language Association (MLA) Annual Convention, 5-8 Jan. 2012, Seattle, Washington. Jointly sponsored by the MLA Children’s Literature Division and the MLA Comics and Graphic Narratives Discussion Group. This panel will explore the possible relationships between comics and picture books, two imagetext genres implicated in children’s literacy learning which, despite overlapping formally and aesthetically, nonetheless stand apart socially and culturally. The potential application of picture book theory to comics, and, conversely, comics theory to picture books, promises to challenge this apartness—that is, to call into question the generic distinctiveness of the two forms. In that spirit, this panel invites participation from multiple perspectives, including but not limited to genre theory, education, history, formalism, aesthetics, semiotics, and ideological criticism. What formal resources and aesthetic strategies do comics and picture books share? Do they tend to deploy those resources and use those strategies differently? What similar or different demands do the two genres make of readers? How does the typical experience—if indeed we may posit a typical experience—of reading one genre differ from that of reading the other? For instance, how conducive are comics to what Ellen Spitz calls conversational reading, that is, reading shared by adult and child? How do both comics and picture books participate in discourses and projects related to literacy learning and cultural literacy? For example, the possible role of comics in reading instruction has garnered much interest in recent studies (see e.g. Cary 2004; Carter 2007; Frey and Fisher 2008; Thompson 2008)—how might this development be regarded culturally and critically? How might comics differ from or resemble picture books in their classroom use? 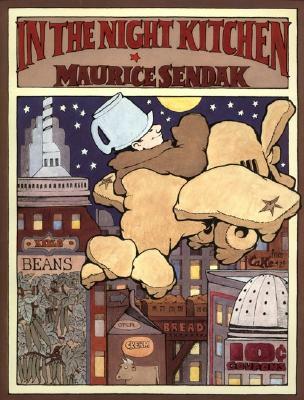 The creative dialogue between the two genres has intensified: consider for example comics-oriented picture books by David Wiesner, Art Spiegelman, Eleanor Davis, Posy Simmonds, Peter Sís, Mo Willems, or Marcia Williams; continued interest in classics such as Maurice Sendak’s In the Night Kitchen or Raymond Briggs’ The Snowman; and recent genre-blurring texts such as Shaun Tan’s The Arrival or Brian Selznick’s The Invention of Hugo Cabret. This proposed session would encourage a critical conversation to match: diverse, energetic, and timely. Several factors make this an opportune and even urgent topic for MLA 2012, including the many artists who have worked in both genres; the genres’ shared aesthetic and narrative resources, and the relevance of image/text theories to both; the new prominence of comics in both children’s book publishing and reading instruction; and the current struggle of the picture book market to respond to social, educational, economic, and technological change. In addition, this topic well suits MLA 2012’s location in Seattle (a bastion of comics and graphic novels) and its Presidential theme, Language, Literature, Learning, which emphasizes the role of reading in cognitive growth, educational attainment, and critical thinking. These issues are of great concern in the emerging discourse on children’s comics reading, and have always been central to picture book scholarship. Send abstracts of roughly 500 words in Word or PDF form to Charles Hatfield at charles-dot-hatfield at gmail-dot-com. The new deadline for submissions is 12 March 2011. Submitters will receive notification of results by no later than April 1. Please note that this CFP is for a proposed, not a guaranteed, session at MLA 2012, meaning that it is contingent on approval by the MLA Program Committee (which will make its decisions after April 1). All prospective presenters must be current MLA members by no later than 7 April 2011.